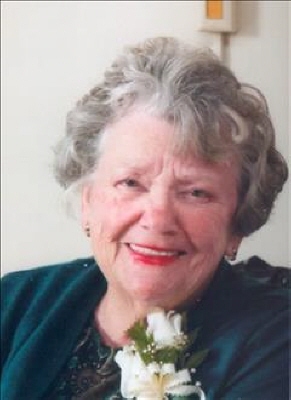 Bette Freeman Dean, age 90, formerly of Valdosta, Georgia, passed away Wednesday, January 30, 2019 at Serenity Mountain Manor in Jasper. She was born October 21, 1928 to Joseph and Maude Freeman in Sylacauga, Alabama. She is survived by her son and daughter-in-law, Mike and Virginia Dean of Alpharetta; daughter, Judy Mask of Covington; daughter and son-in-law, Kathy and Alan Harvey of Jasper; son and daughter-in-law, David and Stacie Dean of Carrollton; grandchildren, Amy and John Kennedy, Angie and Chris Morrison, Brad and Ashley Dean, Jennifer Mask, Caroline Dean, Allison Dean, Natalie Dean; sisters, Mary Jo Barnes, Virginia Bowers, Charlotte Culpepper, Madeline Freeman; four great-grandchildren and many nieces, nephews and other relatives. A memorial service is being planned for February 9 in Talladega, Alabama. Arrangements are entrusted to the Staff of Roper Funeral Home in Jasper, Georgia. To send flowers or a remembrance gift to the family of Bette Freeman Dean, please visit our Tribute Store. "Email Address" would like to share the life celebration of Bette Freeman Dean. Click on the "link" to go to share a favorite memory or leave a condolence message for the family.